I know what you’re thinking. 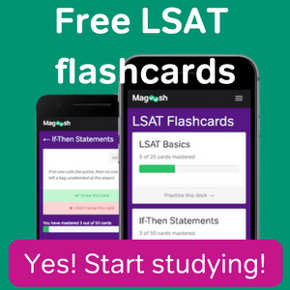 “Why would I need tips for timing my LSAT practice tests? I just push start and then take the test.” Well, that’s probably true. All you need to do is push your button, and presuming you can operate a stop watch competently, it could work. But here’s the thing: you’re still reading. So, in the back of your mind I know you’re also thinking something like “but this guy must know something that will completely blow my mind.” You just wait. Tip #1: Don’t look at your timer. This probably sounds dumb, or impossible, but it’s not. All you have to do is flip your phone over. Just make sure it vibrates, or plays a song, or something, so you know when it goes off. The whole point of this little exercise is to mimic the time you’ll get when you take the LSAT. You’re not going to get your own timer when you take the exam. You’ll just get an analog (non-digital) watch to keep track of time. So, use an analog watch to keep tabs on how much time you have left for each section. You don’t have to do this every time. Just do it enough so that you’re comfortable using the watch to time yourself when you actually have to use a watch to time yourself at the exam. Tip #2: Use the timed sessions to figure out how much time you should dedicate to reading the questions and how much time to figure them out. So, just timing yourself on an entire section probably isn’t enough. You’ll also want to time yourself for each question. If you can get each question in at a minute and a half, that would be ideal. Tip #3: Don’t take your timed practice tests on your couch. 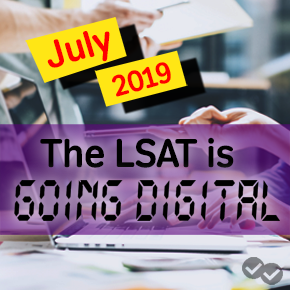 You won’t be sitting on a cushion during the actual LSAT. If you are, let me know. I’ll sign up and take that LSAT! Instead, you’ll be sitting on the same uncomfortable chairs you sit on in class, with the same tiny desk space, and the same chilly classroom. They do this to torture you, by the way. So, not only are you going to need to be used to the timing, you’re also going to need to practice being as uncomfortable as possible for the entire exam. I’d recommend sitting on upturned nails, opening your fridge, wearing a tank-top, and using your left hand. Well, maybe not using your left-hand. That could be going overboard a little bit. But, seriously, you’re going to want to get as used to actual test conditions as possible. That way the actual LSAT isn’t as big a shock to your system. If you want some more tips, check out my post on 5 things that ruining your LSAT practice. Otherwise, happy studying! What are the Best LSAT Prep Books?